Due to additional technical checks that are necessary for the Indian Space Research Organization’s (ISRO) GSAT-11 satellite, which will be conducted at the ISRO Satellite Center (ISAC) that's located at Bangalore, the Arianespace Ariane 5 launch initially planned for May 25, 2018, VA243, has been postponed. 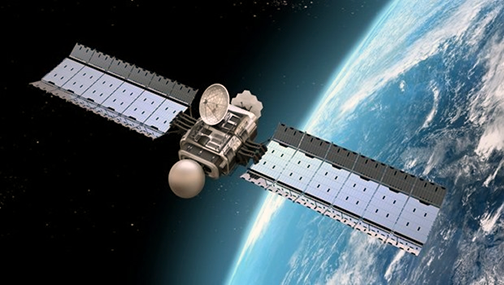 Artistic rendition of the GSAT-11 satellite. The next Arianespace launch will be VA244 in July 2018. An Ariane 5 ES launch vehicle will orbit four additional Galileo satellites for the European Commission (EC) and the European Space Agency (ESA). The launch of the Azerspace-2/Intelsat-38 satellite for Azercosmos and Intelsat has been rescheduled for this summer, following VA244. The planned date and the co-passenger will be announced shortly. The remainder of the 2018 Arianespace launch manifest remains unchanged.